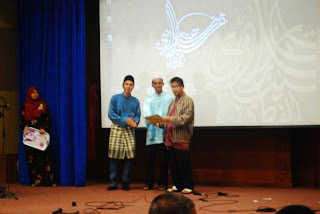 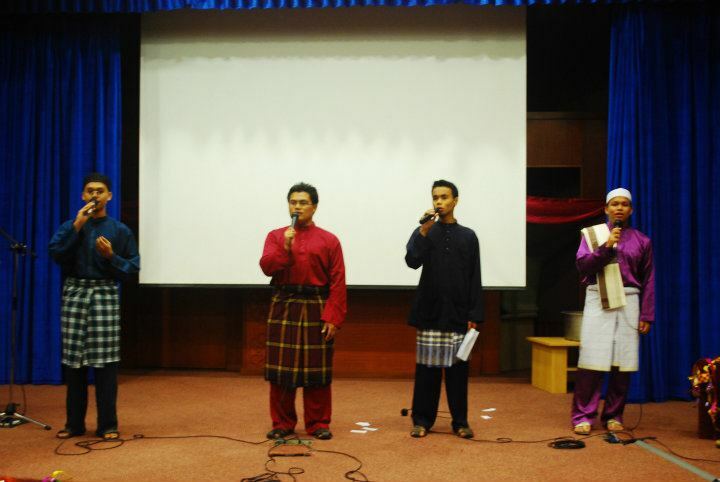 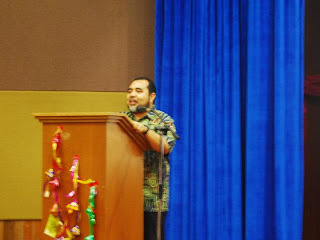 On the 26th of September 2011, MTRC in collaboration with MMRC and SRC had organized a "Welcoming Ceremony & `Eidul Fitri Gathering" for newly-entered first year students at Kulliyyah of Sciences, IIUM. 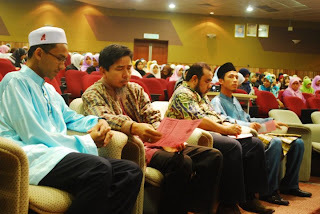 The program's main objective was to introduce and promote both MRCs to the 556 new students in IIUM Kuantan campus. 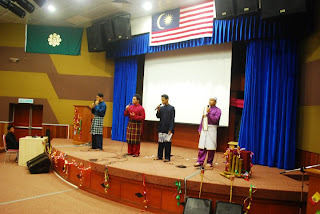 The program was also a welcoming gesture from the collaborating bodies to the new students in a festive atmosphere. The presence of the principals and fellows of the Mahallat Maimunah, Tabari and Talhah further adds to the lively atmosphere. The students were officially introduced to Mahallah Talhah's new principal, Dr Ibrahim b. Abu Bakar. 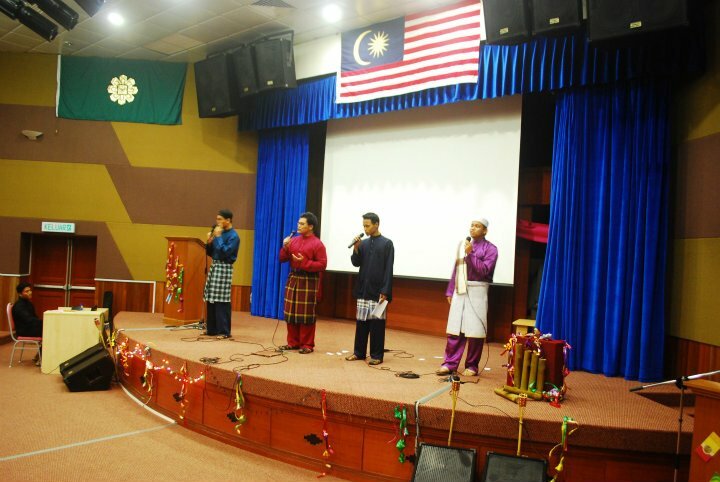 Fantastic performances were delivered by nasyid group IQ-NIG, and an acoustic with song performances from two Kulliyyah of Nursing students. A memorandum had also been passed to Ust Muhammad Ali b. Abdullah during the ceremony. 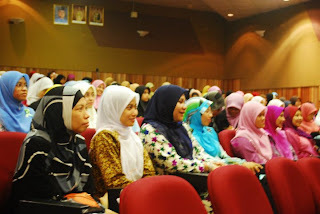 Last but not least, all VIPs and students adjourned to Wackos area to enjoy the meal. 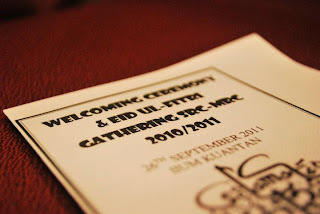 The organizing committee wishes to extend our sincere apologies for any drawbacks or inconveniences during the ceremony. 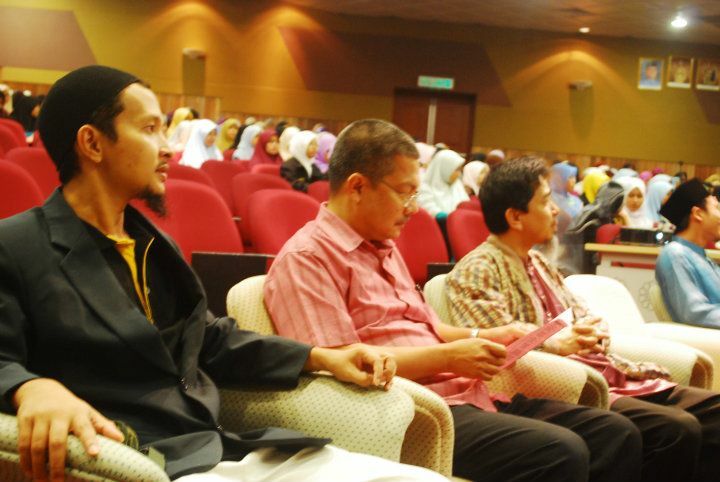 To all new students, we hope that it is not to late to bid you a fair welcome to the Garden of Knowledge and Virtue. 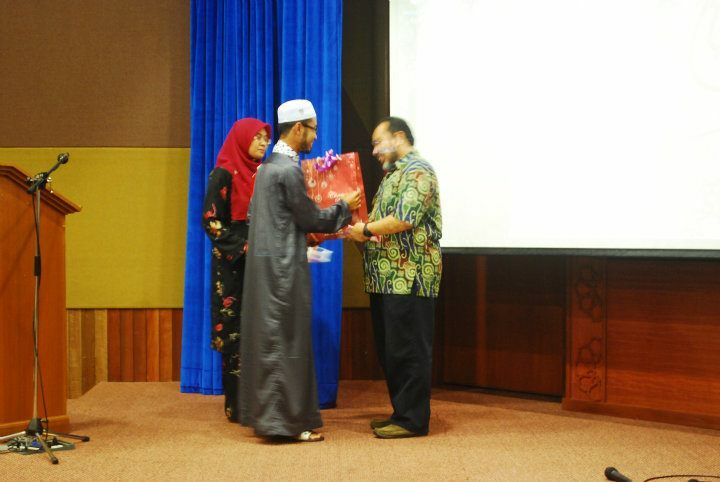 May you enter this Garden because of Allah, and may you leave it because of Allah.